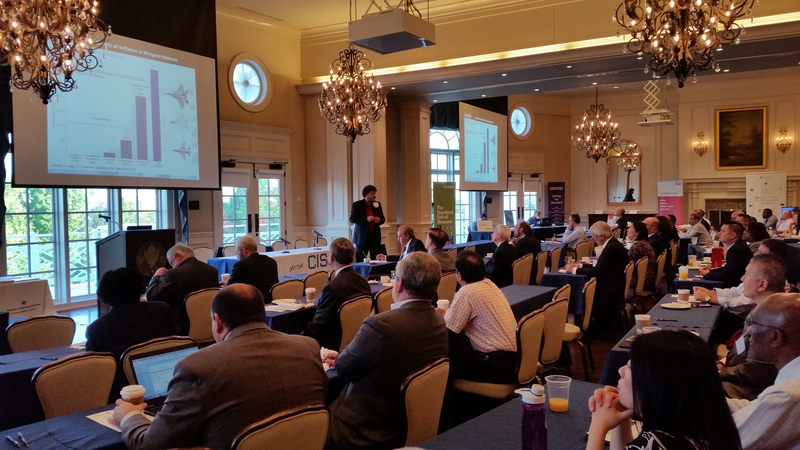 You’re invited to CISQ’s annual Cyber Resilience Summit at the Army Navy Country Club in Arlington, Virginia. “Titans of Cyber” from the U.S. Federal Government will attend to share critical insights from the front lines of the cyber risk management battle. 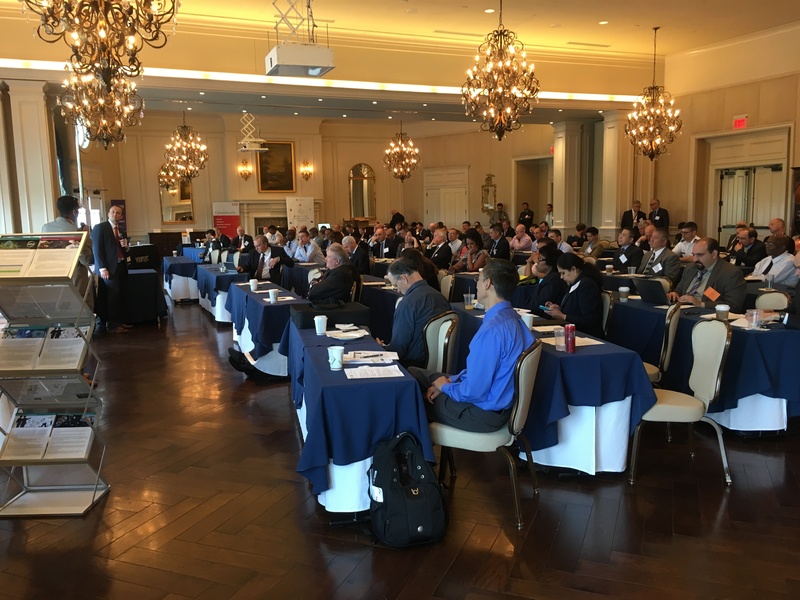 The Cyber Resilience Summit focuses on standards and best practices for measuring risk and quality in IT-intensive programs from the standpoint of productivity, software assurance, overall quality and system/mission risk. The discussion will expose proven methods and tools of incorporating such standard metrics into the IT software development, sustainment and acquisition processes. Government registration is complimentary. Industry $95. In government Dr. Langston served as Department of Defense Deputy Chief Information Officer (CIO), Deputy Assistant Secretary of Navy for C4I, Navy’s first CIO, and Director of the Defense Advanced Research Projects Agency (DARPA) Information Systems Office. 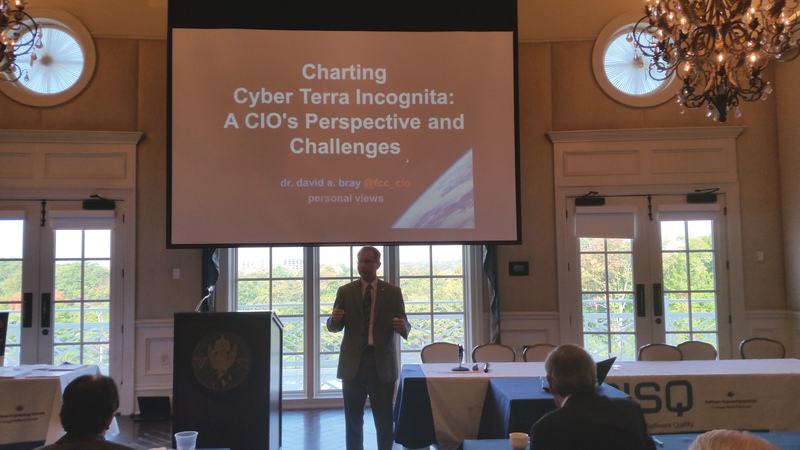 Dr. Bray has been leading the FCC’s IT Transformation since 2013. Through the efforts of a team of positive “change agents,” he transformed the FCC’s legacy IT with more than 207 different systems to award-winning tech in less than two years. This included rolling-out new cloud-based IT that achieved results in 1/2 the time and at 1/6 the cost. Join your colleagues bolstering their cyber defense from the U.S. Department of Defense, U.S. Department of Homeland Security, Defense Intelligence Agency, Defense Information Systems Agency, National Security Agency, and other public/private organizations. 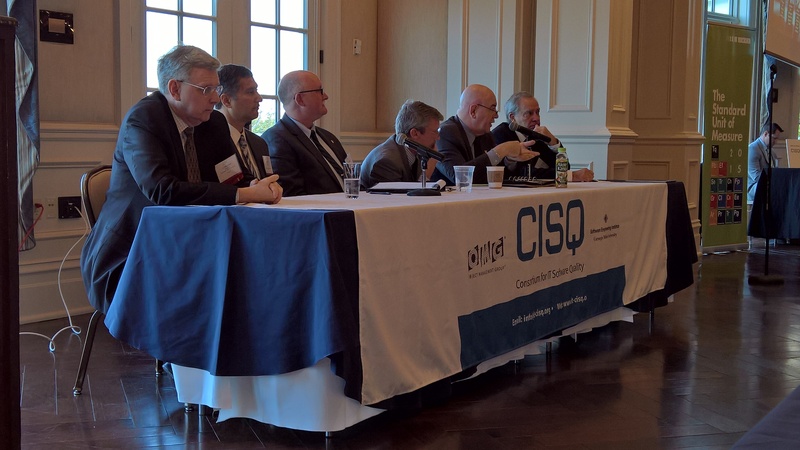 For more information on CISQ’s outreach event, email or call Tracie Berardi, CISQ Program Manager, at tracie.berardi@it-cisq.org or 781-444-1132 x149. 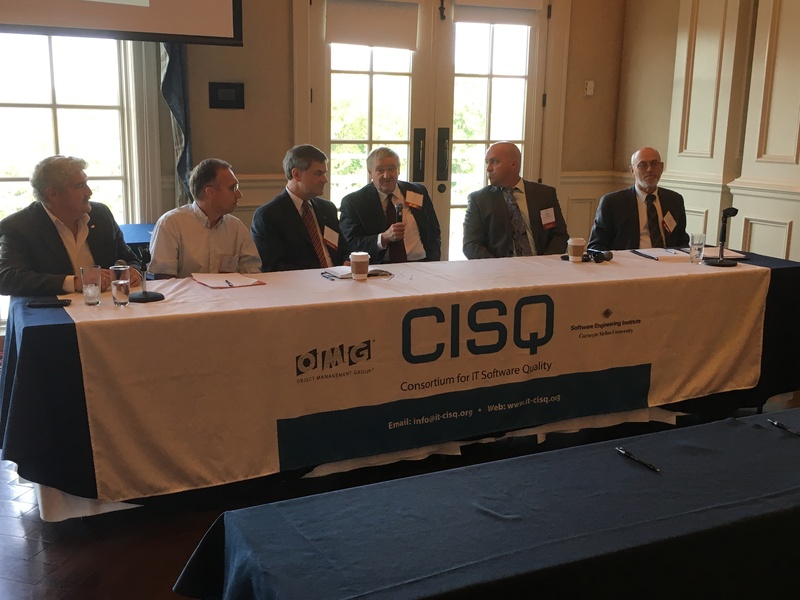 Dr. Bill Curtis, Executive Director of CISQ, leads the “Standards of Practice for IT Modernization and Software Assurance” panel. L-R: Joe Jarzombek, Global Manager, Software Supply Chain Management, Synopsys Software Integrity Group, former Director for Software & Supply Chain Assurance, U.S. Department of Homeland Security; Dr. Vadim Okun, Computer Scientist, National Institute of Standards and Technology (NIST); Tom Hurt, D.D. SW Eng./SW Assurance, Engineering Enterprise, AT&L/ASD (R&E), Office of the Deputy Assistant Secretary of Defense for Systems Engineering; Dr. Bill Curtis, Executive Director, CISQ; Emile Monette, Program Manager, U.S. Department of Homeland Security; Don Davidson, Chief, Lifecycle Risk Management & Cybersecurity/Acquisition Integration Division, U.S. Department of Defense.